It’s that time of the year again: Lexiophiles has just published the shortlists for this year’s edition of its Top Language Lovers competition. If you’ve never heard of it, let me just say that the idea behind the Language Lovers competition is to identify the best social media content covering language-related topics. There are four categories: Language Learning Blogs, Language Professional Blogs, Language Facebook Pages, and Language Twitter Accounts. The top 25 in each category are recognized in an annual ranking, and an overall list of the Top 100 Language Lovers is published as well. I’m proud to report that the Interpreter Diaries has been nominated in the category of Top Language Professional Blog for the second year running. If you want to show your support for the outreach work I do here on this blog, you can go over and vote at this link or by clicking on the voting button at the top of the page. On the Twitter list, I’m happy to see that @aiiconline has been shortlisted. This is the Twitter account that I help run for my professional association, AIIC. It would be an honour if @aiiconline could repeat or even better its ranking of 12th overall that it was awarded in 2012. Generally speaking, I must say it’s nice to see so many familiar “faces” over on the lists. Here’s hoping that interpreters make as strong a showing in the final results as they did last year! The voting period closes on June 9th, so you’ll want to head over, check out the lists, and cast your vote soon. Vote for your favorite Language Professional Blog HERE. Vote for your favorite Language Facebook Page HERE. Vote for your favorite Language Twitter Account HERE. Vote for your favorite Language Learning Blog HERE. Over the past few posts on the Diaries, I have been telling readers about some of the blogs I enjoy reading. In today’s post, I will add one last blog to that list. This one is of particular significance to me, and I’ll tell you why in a moment. The AIIC Blog was launched last spring as part of the revamp of the main website of AIIC, the International Association of Conference Interpreters, of which I am a proud member. The blog’s tagline, “Interpreters tell the story,” promises an inside look at a broad range of topics related to the life of a conference interpreter, and that is precisely what it delivers. Recent posts have included a discussion on how government cutbacks might affect language policy, reflections on how techniques for glossary management have changed over the years, an entertaining rant about poor lighting conditions in booths, and even some ideas on the possible link between interpreting and jazz. The blog is a collaborative effort, publishing regular articles from a number of veteran interpreter-bloggers, including Luigi Luccarelli, Phil Smith and Mary Fons, as well as guest posts and the occasional contribution by our President, Linda Fitchett. The more eagle-eyed among my readers may have noticed a familiar byline among all these names. For the past few months, I have been making regular contributions to its pages, telling stories from my own life as an interpreter. So far, I’ve talked about how a chance encounter in Brussels airport got me thinking about my own (mildly neurotic) relationship with the languages I speak, and I shared with readers what I did over the summer – or didn’t do, actually. And I have plenty more ideas brewing for future posts, so please stay tuned! If you would like to keep up with what is published on the AIIC Blog, all you have to do is add it to your RSS feed. By the way, while I’m on the topic of RSS feeds, I can’t pass up this opportunity to tell you about an interesting feature of the new AIIC website. Not only can you add the blog to your RSS feed, you can sign up for RSS updates on any number of interpreting-related topics. Whenever an article is posted anywhere on the website (not just the blog) that is related to the RSS feed you’ve chosen, you will get news of it in your feed. You can choose to receive news on more than a dozen topics, including freelancing for international organizations, getting started in the profession, training and research, conference equipment and standards, and others (consult the full list here). Cool, isn’t it? Another nifty feature of the new website is its page of site sections, which offers a tidy little selection of past AIIC articles, all organized by topic. Visitors can navigate between about 30 different compilations. Here you’ll find articles on interpreting in conflict zones, memoirs talking about the history of the interpreting profession, overviews of global conference markets, tips for voice management, research findings and guidelines on remote interpreting, and much more. 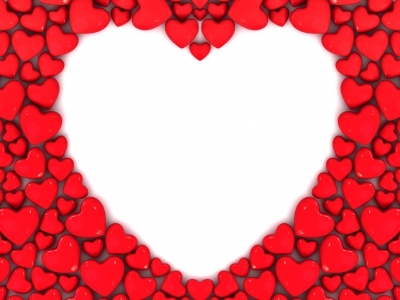 Many of you will already know of Lexiophiles’ annual Language Lovers competition. If you are on Facebook or Twitter, chances are you will have been hearing a lot about it over the past few weeks. For readers who are not so active on the social media, the competition maybe new to you. Basically, the idea behind the Language Lovers competition is to identify the best social media content covering language-related topics. There are four categories: Language Learning Blogs, Language Professional Blogs, Language Facebook Pages, and Language Twitter Accounts. The top 25 in each category are recognized in an annual ranking, and an overall list of the Top 100 Language Lovers is published as well. If you want to know the details of how the competition works and why it was started, you can check out the page where it’s all explained. The news I’d like to share with you today is that the Interpreter Diaries has been nominated in the category of Top Language Professional Blog (thanks!). My Facebook page is also in the running for the Best Language Facebook Page (thanks again!). Also, one of the Twitter feeds that I contribute to has been nominated in the Twitter category (@aiiconline, which I help run for my professional association – it appears as @AIIC Interpreters on the competition shortlist). I have to say that I see a number of great language blogs, Facebook pages and Twitterers up on the lists of nominees, so I’ll be surprised if my pages make anything but a token showing in the final ranking. 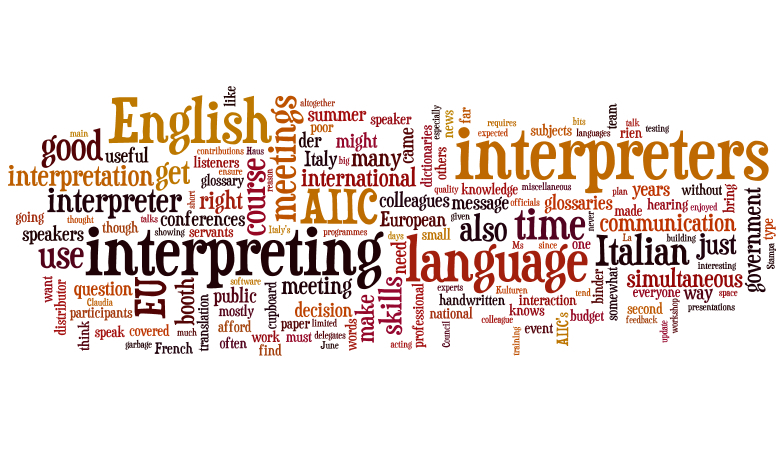 After all, interpreting is a pretty small niche within the language-lovin’ world, conference interpreting is an even smaller niche with the interpreting world, and conference interpreter training is … well, you get the idea. But still, if you do want to show your support for the Interpreter Diaries, please feel free! You’ll have to hurry, though, because the voting closes at the end of this week.